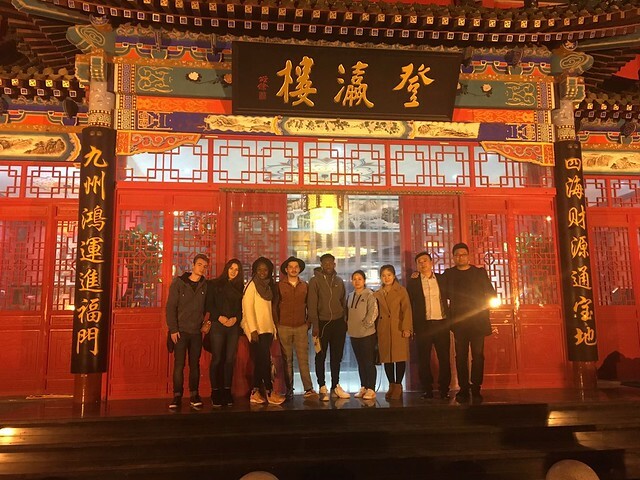 École de Commerce de Lyon offered to its students the opportunity to spend a part of their student year in Tianjin’s Business School in China. Discover the chinese language, for example students learned the basics of writing ideograms and understanding of both oral and written Mandarin. Continue the course started in our school with commercial courses. Discover China and its cultural activities like calligraphy, kung-fu, chinese painting etc. Our school paid the tuition fees for its students. They only had to pay for transportation, visa and food. Tianjin is the fourth most populated city in China, with 15 millions inhabitants. Very close to Beijing, it is part of the Jing-Jin-Ji, a local term designating a megalopolis gathering those two cities and Hebei. Tianjin is not a touristic city even if we can find traditional activities from the chinese culture. It is mostly a very productive economical center. A new economical zone has been created on the east side of the city : the Binhai district which goal is to replicate the development of a town such as Shenzhen.